An online curation for fashion, design, art, music and social innovation, DNAMAG.co is a resourceful hub for discovering the latest and greatest from female creatives. As a woman-owned skincare company, we were thrilled when they reached out to us about featuring our products in a Gaelle Organic review written by their beauty editor, Alexa Wilson. 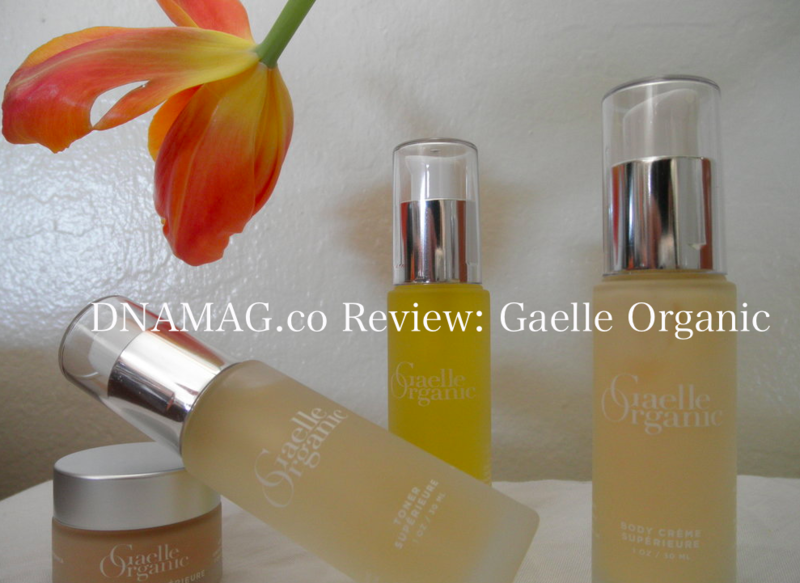 Everything about Gaelle Organic is elegant. From the frosted bottle packaging and typeface to the luxurious consistency of many of their products, it feels like you’re really treating yourself to something special. And you are. On the quest for ‘luminous, honey skin’, we were delighted to read that she found it while using our Balm, Toner, Exfoliant and Body Creme Petites. Providing a thorough review of each product, their star ingredients and her personal experience with them, Alexa’s drafted an informative delight to read. I don’t usually wear makeup beyond a lip or a low key, natural wash of eyeshadow, but I made it a point to do more and really put the [Balm] to the test. Applied to dry skin, Balm Supérieure melted everything away in seconds… My skin felt clean without being dry and hydrated without being oily. I definitely also noticed that my skin looked firmer. Click here for Alexa’s full review and read her complete thoughts on our range of organic skincare. Thank you, Alexa and DNAMAG.co!